Add an extra blog / identity to your account. 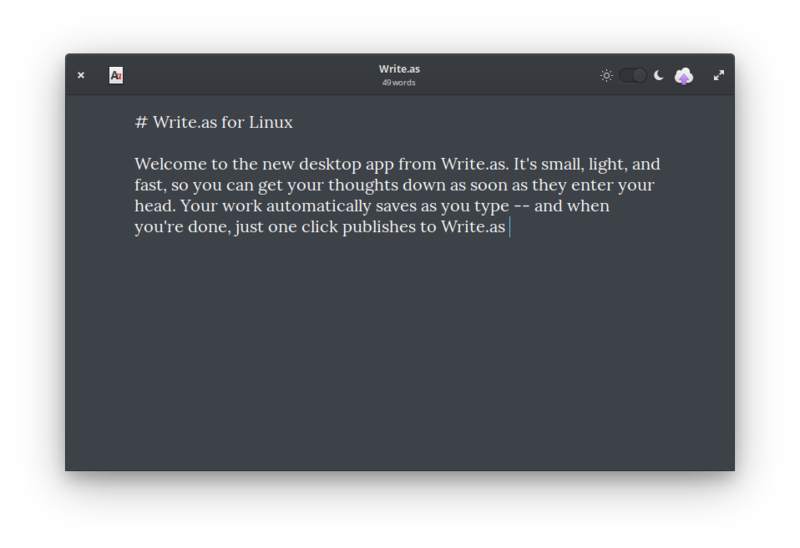 A fast, light, distraction-free desktop editor for publishing to Write.as. Export your blogs and individual posts as ePub files.